“I never quite appreciated how competitive the Clipper Race is.” says Sophie O’Neill, a professional Skipper from Cowes, Isle of Wight, UK, who joined the Qingdao team during the Clipper 2017-18 Race as the Additionally Qualified Person. With recruitment underway for the Clipper 2019-20 Race Additionally Qualified Persons (Mates), we catch up with Sophie who began sailing at the age of twelve. 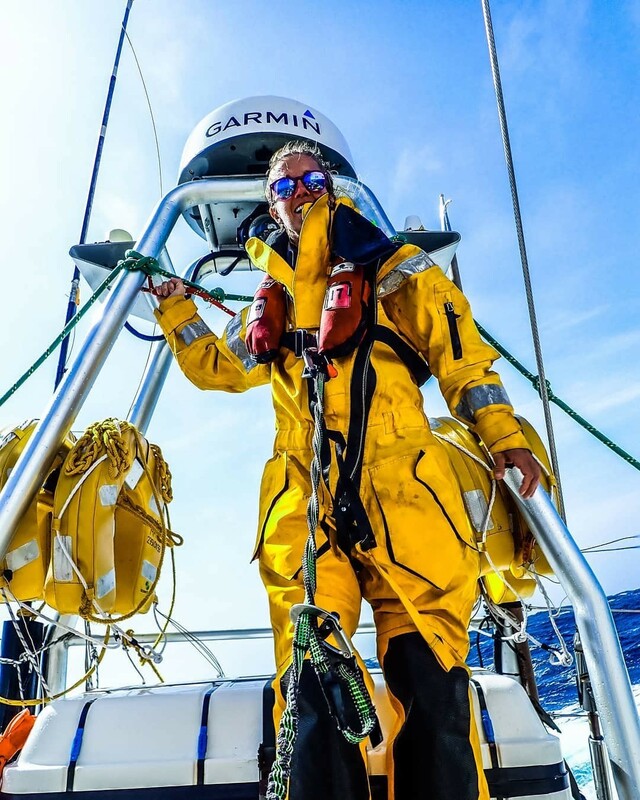 Over the last 18 years she has forged a successful career as a professional skipper, racing, dinghy and RYA Yachtmaster Instructor. Sophie was introduced to sailing by her father and has gone on to skipper an all-female team in two Fastnet races and four RORC 600’s. She joined the Qingdao Clipper Race team in its home port after her friend and Skipper of the Visit Seattle team Nikki Henderson told her about the role. Joining just before the Mighty Pacific Leg 6, Sophie caught the bug and stayed on board as the AQP for the remainder of the circumnavigation. After finishing in third place overall with the Qingdao team, Sophie has spent some time out of the water, enjoying climbing in Wales with her sisters and spending quality time with her dog. 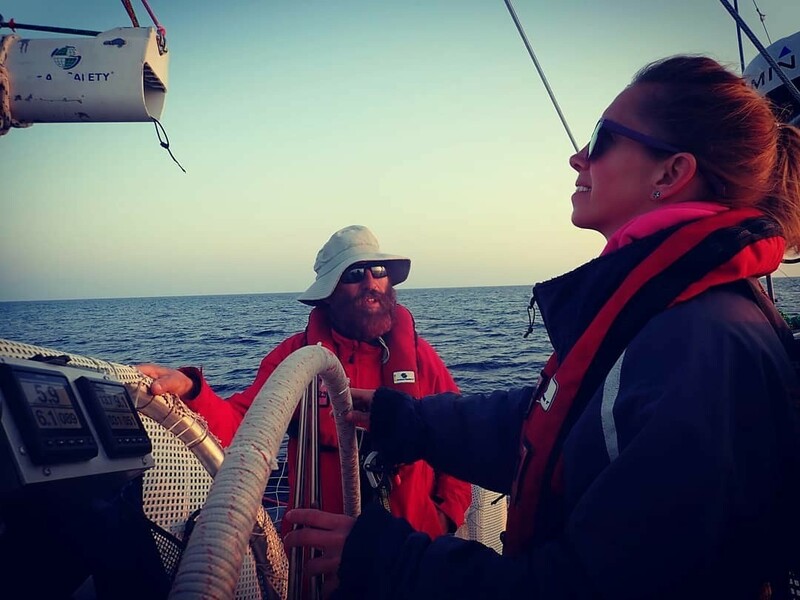 Still a familiar face at the Clipper Race, when she is not teaching at a RYA school or scheming up plans for the next Fastnet Race, you can find her teaching Level 1 and Level 2 training to future Clipper Race crew. Think you have what it takes to come on board and race around the world as a Clipper Race Additionally Qualified Person? Applications are now being accepted for the roles on board for the 2019-20 edition which will start in August 2019. 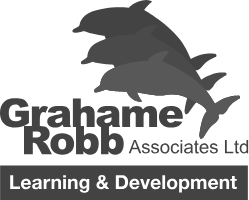 For further information, essential qualifications required and how to apply, head over to the Additionally Qualified Person job page on our website.